THC protects arteries against harmful changes that lead to atherosclerosis, hardening of the arteries, researchers of the University of Geneva, Switzerland, found in a study with mice. Atherosclerosis is the primary cause of stroke and heart disease. The study published in the journal Nature revealed that THC can block the process of inflammation, which is largely responsible for the changes in the vessels. Inflammation combines with fatty deposits to narrow the arteries. The scientists studied a strain of mice that are susceptible to atherosclerosis. The animals were fed a high-cholesterol diet to make them develop atherosclerotic deposits. Adding THC to their diet caused the growth of the obstructions in their arteries to slow markedly after 11 months. The THC doses applied were comparatively low (1 mg/kg of body weight), too low to cause psychological effects in the mice. Lower and higher doses did not produce a protective effect. The effective dose would correspond to moderate doses in humans. However, it is currently unclear how the results translate to humans. The protective effect were mediated by THC effects on the immune system. The Swiss researchers found that certain blood cells (lymphoid cells) of THC treated mice secreted less interferon-gamma, a molecule that promotes inflammation, and that migration of certain immune cells (macrophages) to the vessel wall was inhibited. In mice that also received a CB2 receptor antagonist, that blocked the effects of THC at this receptor, continued to develop atherosclerosis at a fast rate. The CB2 receptor is mainly found on cells of the immune system. 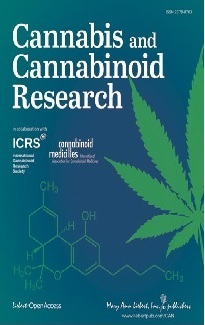 The authors noted that "THC or cannabinoids with activity at the CB2 receptor may be valuable targets for treating atherosclerosis." 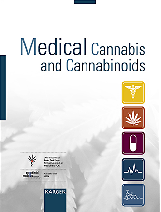 In several other diseases THC was shown to reduce inflammation by reducing pro-inflammatory mediators (cytokines), including interferon-gamma (IFN-gamma), tumour necrosis factor alpha (TNF-alpha) and several interleukins. THC reduced inflammation in several animal models, among them models of arthritis and multiple sclerosis.